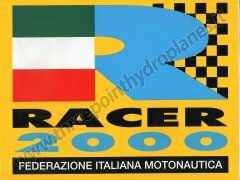 Racer valid as Endurance Italian Championship from 1990 to 2001 for all UIM classes: from 400cc to R°° and O3000.From 2002 it becomes Racing Boat Cup. 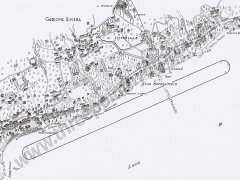 Born in 1930 by an idea of the poet Gabriele d'Annunzio for the pursuit of pure speed, it takes place in Gardone on Garda Lake. It achieved great success and fame all over the world. 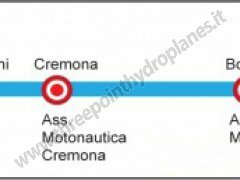 Reserved for inboard race without limitation is assigned to pilot in two non-consecutive rounds achieves faster speed. 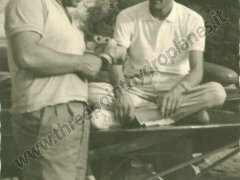 Theo Rossi di Montelera who presided the Motorboat Club organized the race and distinguished d'Annunzio the title of honorary president. Kayedon, a boat pilot, remained in Gardone for months to train itself to beat the world speed record on water. D'Annunnzio asked him to participate in honor of Seagrave, pilot of boat "Miss England II," died in an accident. Kayedon won the Cup that year. Located in chignolo Po (PV), it's a day reserved for informal free practice from 9:30 to 18:00. A chance to try propellers or try the boats to new pilots. 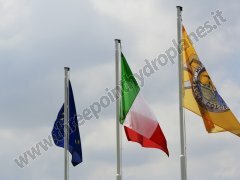 International speedboat meeting for inboard and outboard engines. 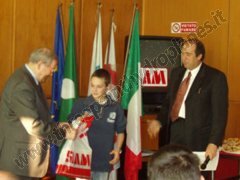 It was the series of Interregional Championship starting in 2002 with Italian titration in the years 2005, 2006 and 2008 of the Italian Endurance Championship held until 2010.NB: called Boat Racing Cup from 2002 to 2008 and Rovati Cup from 2009 to 2010 in honor of Luigi Rovati died in 2008 and who instituted this competition. Built in the end of twenties and located in the neighborhood of Milan-Linate, Idroscalo is a perfect race field for powerboating, thanks to its peculiar characteristics: lack of tourist navigation, very low or not-at-all winds, oblique edges that do not create dangerous waves, limited depth of water that makes sure any recovery of sunken boats. An ideal basin for the exibitions of the hidtoric racing boats. 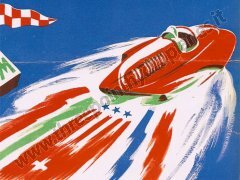 After the war Como became the capital of the world powerboat for its champions, who were builders of their own boats. 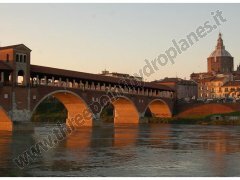 A nice demonstration of their value flying over the waters of the city from the promenade at Villa Geno and Villa Olmo waking up old emotions. Born in 2011 on the occasion of the 50th anniversary of the foundation of Associazione Motonautica Parmense, a historical sports association that always organized national and international boat competitions and land of great fans, riders and trainers, the Sacca Racer Meeting is officially organized for historical hydroplanes, even if there are also present latest boats running in separare batteries. It takes place in Sacca di Colorno (hence the name of the event), in the province of Parma and even if it's a very recent event it's already become a reference for riders and fans for both the significant number of participants and both the organizational quality of the event itself. Organised since 2012, the going back to the sporting tradition that this lake has always had in the history of international powerboat. 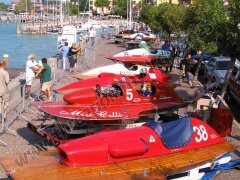 The event "Trofeo barche d'epoca da corsa - Città di Porlezza", aimed at the development of the territory and the promotion of historical boating motorboating, gathers these vintage boats that amaze and fascinate with breathtaking performances the spectators.